Thank you for visiting our website! For more than 50 years, the gas proportional counter (GPC) radiocarbon lab at the Physics Institute of the University of Bern has been among the most respected labs of its kind in the world. We can determine the age of organic materials such as wood or charcoal up to an age of approx. 50,000 years. Our clients are climate scientists, archaeologists, geologists, construction companies as well as private individuals with a variety of interests. In addition, we conduct regular measurements of radioactivity in the environment on behalf of the Swiss Department of Public Health, for example in areas surrounding nuclear power plants, waste incineration plants as well as chemical and pharmaceutical plants. We chop your sample into small bits which are then purified. We then burn approx. 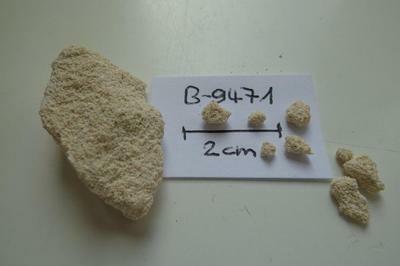 10 grams of the sample under controlled conditions. We collect the carbon dioxide produced during the burning process and then convert it to methane which is our “counting gas”. We fill the counting gas into a one litre copper tube. We then measure the methane’s activity for 3 days in our underground laboratory, 10 storeys beneath the ground. Broadly speaking, it can be said: The more active a sample, the newer it is. After interpreting the results, we send you a detailed report that includes the determined radiocarbon age of your sample: for example, 1230 years ± 20 years. How reliable is this process? The age of a sample is determined by measuring the rate of decay of the radioactive carbon isotope 14C. Radioactive decay is a random event that can only be expressed statistically. In order to confirm and verify the reliability of the radiocarbon method, the University of Glasgow conducts regular intercomparison studies with radiocarbon labs from around the world. All participating labs receive identical samples whose age they determine in order to arrive at a consensus age for each sample. The GPC radiocarbon lab at the University of Bern has regularly achieved results that are very close to those consensus ages, confirming the reliability of our method and the high significance of our results. We will do our best to date your sample, too, with the greatest care and highest precision possible. What are the basic requirements for samples? Please refer to the detailed information in the pdf document at the bottom of this page. Please note that for technical reasons we cannot date bones. Is radiocarbon dating more precise than dendrochronology? 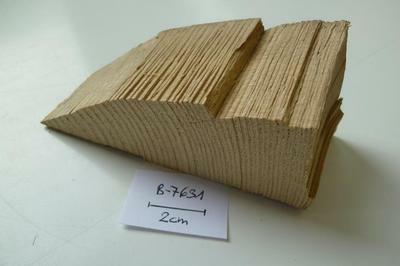 Dendrochronology can determine the age of wood samples by analysing the sequence of growth rings. Under ideal circumstances, the age of wood samples can be determined very precisely up to an age of approximately 12,000 years. This method is thus very well suited for dating, for example, wooden building structures. It does, however, require at least 50 consecutive growth rings, ideally the 50 outermost rings of a beam (including the wane, i.e. that last ring underneath the bark). We collaborate with several dendrochronology labs. If we think that dendrochronology might be better suited for your circumstances than radiocarbon dating, we will let you know. Is it always possible to determine the age of a sample unambiguously? Especially with modern samples, i.e. samples with an age of less than approx. 350 years, ambiguous results do sometimes occur when converting the 14C age into calendar years. This is because the atmosphere’s 14C concentration has been fluctuating significantly during that period. 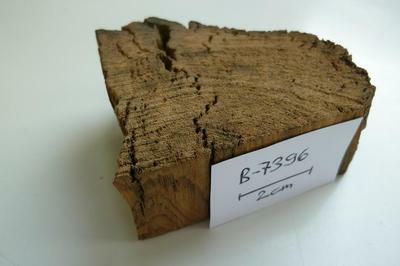 A wood sample with a radiocarbon age of 175 years (relative to the 14C reference year 1950) might originate from the year 1680 AD, but might also originate from the year 1750 AD with almost the same probability. This ambiguity is not a weakness of our laboratory, but is a limiting factor of the 14C method in general. => The carbonate deposit was formed around the year AD 915. => The sample was formed around the year AD 410. => The 14C-detection limit of our lab is 57,000 years. This sample is older. 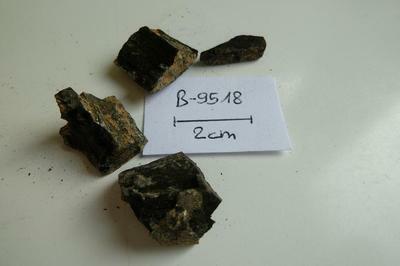 => The charred wood sample was formed around the year AD 1248. In nature, carbon is found in the form of three different isotopes:12C, 13C und 14C. The greatest part by far (approx. 99 %) is made up of the stable isotope, followed by 13C (approx. 1 %) and the radioactive isotope 14C (10-10 %). Statistically speaking, every trillionth carbon atom is radioactive, so that in modern atmospheric CO2 samples the proportion of 14C to 12C is approximately 1 to 1012. This corresponds to 0.23 Bq per gram of carbon. Radioactive 14C is also known as radiocarbon. By measuring the current rate of decay and comparing that rate with a calibration curve, the age of organic materials can be determined. The calibration process also takes into account factors such as fractionation, Suess effect, nuclear weapons effect, and variations of the14C to 12C ratio over time. Thanks to its half-life of 5730 years, radiocarbon is ideally suited for the dating of historical samples (wood, peat, corals, etc.) up to an age of approx. 50,000 years. Our department is also renowned for dating groundwater in the age range of 500 to 20,000 years. Use the following links to visit some of our clients and colleagues and learn more about their projects. Please be aware that the GPC radiocarbon lab of the University of Bern has no influence on the contents of linked pages and accepts no responsibility whatsoever for the contents of external links, especially those that have been modified after being linked. The entire responsibility for the contents of linked pages rests solely with the providers of said pages. The following pdf documents contain further information about the ideal sample preparation, the cost of our radiocarbon dating services, and much more.